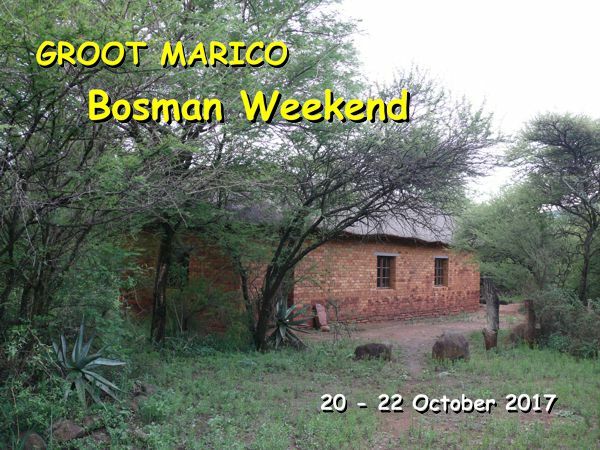 in October in Groot Marico. This year’s program includes 6 main productions and many smaller performances, workshops and music shows. All meals are included in the package. we want to share the sense of place and local creativity with you. The program below will give you a good indication of what you can expect of the weekend, the cost and choices. And how to go about to book for the weekend and accommodation. This is an early notification only. Kindly do not make any deposit without a booking reference number from this office. Every year , after a Bosman weekend , the mutual feeling is that it cannot be bettered. My feeling, as organiser of the program for the past 22 years is... THIS YEAR IS GOING TO BE AMAZING ! There will be surprises, magic moments and wonderful experiences - ( even if it is only your first mampoer tasting experience or roostekoeke and moerkoffie from the fire). The performances are hand picked for the Marico – it is good! and live music plus a Mampoer / Jerepigo welcoming drink. Three x 1 hour programs at different venues which includes music, dance, story readings, poetry, art exhibition and liquid refreshments between every show. by different artists and presenters. Saturday evening programme from 18h00 – 22h00 includes music, refreshments, and a performance “Oom Schalk from the Heart with David Muller - and the package includes a traditional supper “7 colours “ prepared on the open fires. Coffee and rusks, a performance by the Bosman group and a music performance by the Kingsmen. The cost of a weekend package (all 4 packages included ) is R990 per person. Guests are advised to book as soon as possible, as only a limited number of people can be accepted, due to the available facilities on the different venues, and the fact that the organisers want to retain an intimate and personal atmosphere. A list of accommodation options available from Santa – kindly make your accommodation bookings through the Information Centre, who is coordinating accommodation for the Bosman weekend. Please take note that this event/booking is organised by by the Information Centre in Groot Marico which is situated in an old house in the main street in Groot Marico, next to the First National Bank. 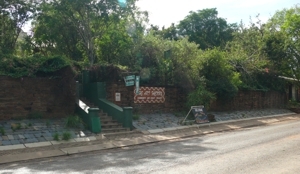 This Centre has been in operation for the past 15 years by the Groot Marico Publicity Association, and our mission is to share the natural hospitality and our healing environment with our guests.